Melody has lost her song. 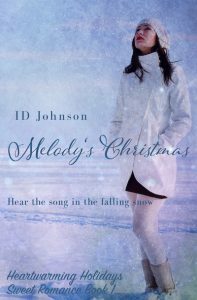 When her father dies suddenly on Christmas Eve, Melody loses all interest in music. Now, two years later, she’s just trying to get through the holidays. When a chance encounter leads to a friendship with a single dad, Melody begins to hear the music again. 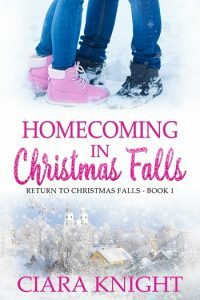 Will a touch of Christmas magic also lead to love? Six former friends from Vardin Village reluctantly reunite eight years after the devastating homecoming weekend that tore apart their lifelong friendship. 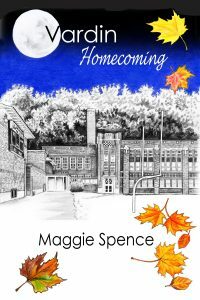 When they were seniors at Vardin Village High, they weren’t supposed to be in the abandoned Butler Building after the homecoming dance but the adventure seemed harmless enough… until they find their friend’s dead body. After fleeing the building just one step ahead of the police chief, the six teenagers make a decision to keep quiet about their presence at the crime scene and never tell a soul. Fast forward eight years; the murder has never been solved. The teenagers are now young adults with successful careers and unlimited potential. Andrea is the only one of the six still living in Vardin Village and when new evidence comes to light, she knows the truth must be told. She contacts her former friends who have more reasons now to keep their secret than they did eight years ago. This homecoming weekend means they’re all coming home to face the consequences and hopefully, solve the murder. On the eve of the biggest art event at Huckleberry Mountain Resort, potter Shandra Higheagle finds herself in the middle of a murder investigation. She’s ruled out as a suspect, but now it’s up to her to prove the friend she witnessed fleeing the scene was just as innocent. With help from her recently deceased Nez Perce grandmother, Shandra becomes more confused than ever but just as determined to discover the truth. While Shandra is hesitant to trust her dreams, Detective Ryan Greer believes in them and believes in her.